AxisRooms Channel Manager Reviews Recently Reviewed! Great UI and outspoken Customer Service. Their UI is great and easy to manage with several options that other competition does not provide. The team is proactive in answering all queries and go out of the way to help make better use of the platform. Better complaince for regional use would be much appreciated. Pros: The user interface & user experience is very nice. Creating and mapping rate plans is the best part. Overall i like the simplicity of the software which helps my staff to learn how to use it very quickly. Its almost self learning. Also the ability to take payment and confirm bookings online is nice. Cons: The report section needs serious development. Current report generating is way behind the requirements of a hotelier. Pros: User interface is easy to understand and navigate. Constant up gradation and fine tuning has made this software competent with any international software. The team has been quick in responding to any issues. Cons: Not much apart from few technical issues. products from the team which would help us improve our business and connectivity. Pros: This is one of the best channel manager which i have ever used being in a hospitality sector from past 1.5 year. It is simple to operate with multiple functionalities,It does not take more than 5 minute to onboard a new property via axisroos channel manager. You can various functionalities like daily report,booking data,rate plan restriction,no show,revenue maximixation and a lot more. Customer support is excellent,anywhere you stuck just give them a call,they are ready to help at any time. One of the best i feature that i liked is there is no sync issue which i saw while using other channel manager. Cons: Nothing is there to not like about this software. this channel manager is so ease to use especially for room and rate ..
Pros: sum time 15 to 20 second update the rate and room .i like your Connectivity Status this is a super most popular work station . Cons: Annual charges could be more reasonable. Change in user platform need to be informed and required interactions to be done for the user to get ease with new interface. 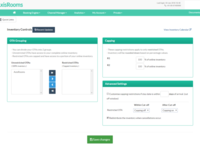 Overall: The Channel Manager is very user friendly. The customer care service was perfect approx one year before. The mail response was not prompt and not completion of our requirement is not fulfilling in time mail/call. We request you to allocate one staff for some number of properties, it will help us for the single point communication. AxisRooms Channel Manager is easy to use and cost effective product. 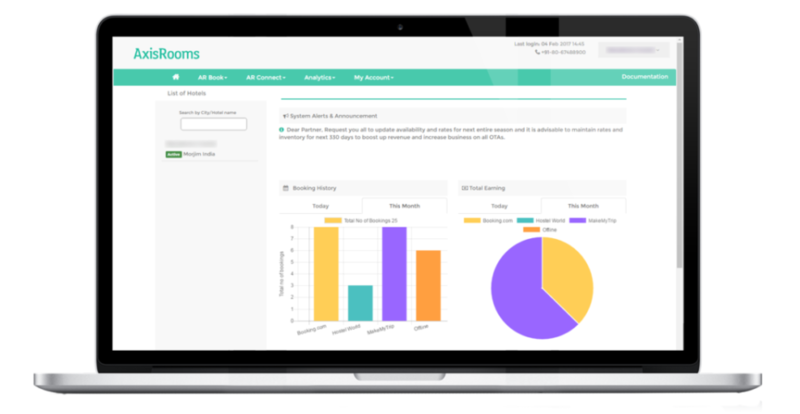 Pros: Unlike most other Channel Manager's present in the market, AxisRooms allows for monthly billing and payment and ability to choose the required product, rather than buying the complete suite. Cons: Have noted error syncing multiple times. Need to sync, every time we change the inventory. If a mapping is broken, we will not get any notification. IOS version is still not available. Pros: Almost anything will be positive if it's an example of a true OTA manager from one panel, extra-feature in this channel manager have GDS features. Cons: We using this software since last 6 month and during that time I found their customer support is excellent and their cooperation I like very much also the software is very much user friendly. 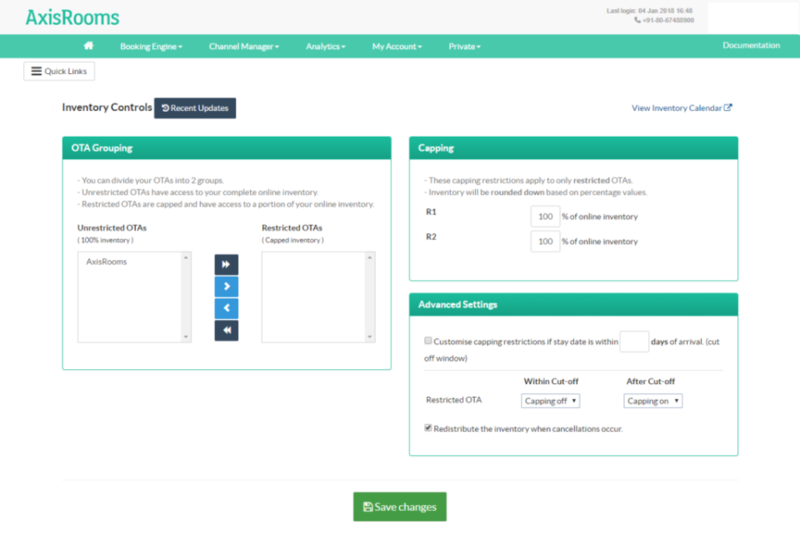 Overall: We are managing our OTA from AxisRooms as well as we have gets the GDS connectivity through this channel manager. It is very user friendly and cost effective solution that have the feature to integrate with the PMS system. Pros: It provides a comprehensive suite of application needed to manage a hotel. 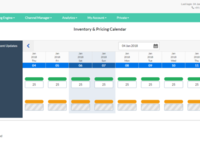 Revenue Management, Reputation Management, Competition Tracking along with the regular channel manager feature. Overall: With one software I am able to manage all facets of my hotel. This has resulted in increased occupancy and better customer feedback. Pros: It is very easy to use. In any problem team resolve the issue very fast. Cons: Not more features in Axis Room Mobile App. Need yield management. It will be a game changer Hotel occupancy. Cons: New integration to be needed with as now companies launch's slot stay bookings also there is no option to create a payment request to the customer who is postpaid bookings. This need to be update. Pros: visibility to all the features at a glance.More familiarity with the access and too easyto handle all. It amazing. It makes the hotel booking system so simple. Pros: Spontaneous updation of inventory. Even if it doesn't respond some time we still can get it done over the phone and that's also very quick. Cons: It should have app which would have made it more easier. As now days every software has a app which make more convenient to use. Cons: It is fantastic channel manager from one panel can mange OTA, GDS as well as Booking Engine from one Panel. Pros: the fuctionality and speed is the most beneficial . Cons: Easy to use and 100% trouble free and reliable. Overall: This channel manager is friendly keeps you away from stress. just give your data and relax all done by Axis room. -very good customer support . Cons: -software changes are very often. Overall: Overall, it's a good deal. Pros: fast changing easy to use all good. change all inventory and prices in one click. saves online portals from rate disparity. Best Channel manager and Application, Great Support from market manager . Easy access. Pros: Single platform to manage all OTAs. Show revenue of Offline, online, Agents, corporate etc. 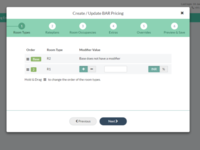 Easy to update inventory and pricing in multiple options. Restrictions are useful to set Mlos. Recently got an option to update offers from Channel manager to particular OTAs. Can Able to see arrivals and check out. Cons: Multiple logins, since we have got single login. if it would be a multiple login at-least two will help us. but single would be fine. Overall: Over all good. Reasonable staff. I recommanded one of my friends in Thekkady. Pros: The setup is absolutely smooth with constant support from the Onboarding team. Trained executives make it very easy to understand and execute the work. Cons: Sometimes gets stuck due to technical glitch. It does basic things well. Support in India is iffy. Pros: Does synchronize calendars well. Mobile App to block dates handy useful. Setting up new properties is relatively simple as well. Overall: I am more assured of being able to prevent double booking. 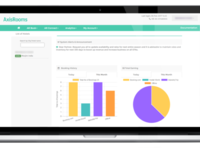 A cost-effective platform which allows users to manage inventories in one single click. Pros: The setup team is friendly. They teach all the basics so anyone can use this platform even a computer beginner. The User Interface is friendly which allows users to understand the functionalities. Cons: There are new OTAs like MobiKwik and PayTm. We want to tie up with them but it is hard to manage inventories from this platform as they have not collaborated. Overall: The cost of the software is very phenomenal. Pros: this helps me for easily manage my property avoiding over bookings. Overall: I use this channel manager since last October 2018 , up to now I have not find any overbooking troubles. also I want to thank MS Kavindi who is Business Development manager in axisroom Srilanka. Pros: The only strong point that works in favour of AxisRooms is the empty promise their sales people make. Cons: Backend support could probably be the worst in the industry. Overall: I used AxisRooms' services not only for their Channel Manager but also went the whole nine yards and took their Revenue Management package as well (channel manager was included in this). Throughout our association their team could not produce the deliverables and kept making excuses. The sales people nonchalantly withdrew once the sale was through and proved to be a big zero for dependability. Response time by call centre was a pain as well. In the end when I decided to end their services I had to go all the way up to their CFO to ask them to stop billing me month on month even after having ended their services. This is just one big fraudulent firm is what it is. Pros: its a real time software. immediately price and inventory can update. overall its a good software for all. Cons: promotion can not be applied in all chennels. so they have to make that we can apply promotion fronm channel manager. Pros: The UI is really user friendly & The response from the customer care is really impressive. Cons: There are bugs in the software which makes it a lot harder to use the it. Pros: The pricing is effective. Syncs with third parties very well. Cons: A mobile app to update the inventory and pricing will be great. Everytime logging on from a browser is tedious.